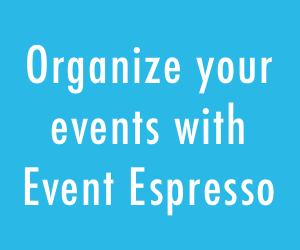 The Promotions & Discount Codes add-on for Event Espresso 4 adds powerful and flexible promotional pricing features to your events. You can create discount codes and promotions that can provide discounts for your attendees when they are registering for an event or buying tickets. The Promotions & Discount Codes add-on is included in the EE4 Everything License. 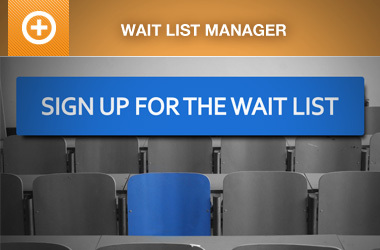 These features allow you to incentivize your audience to purchase more ticket(s) sooner or register for more events, allowing you to run your business more efficiently and make more money. 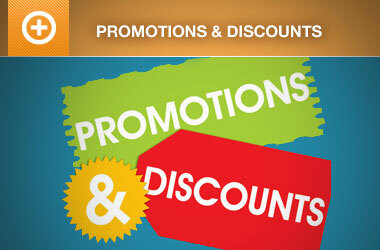 View documentation for Promotions & Discount codes add-on. Your audience can enter their discount code in the last step of the checkout. 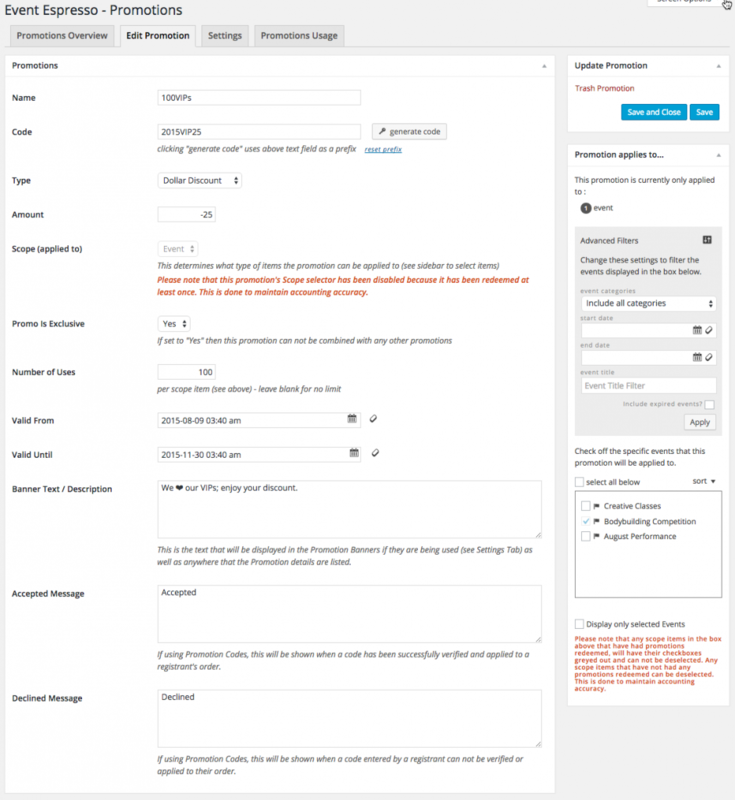 Each promotion code can be configured with a custom message confirming or rejecting a promotion code. Discounts are reflected individually in the checkout. The discounts are also reflected on the receipts and invoices. 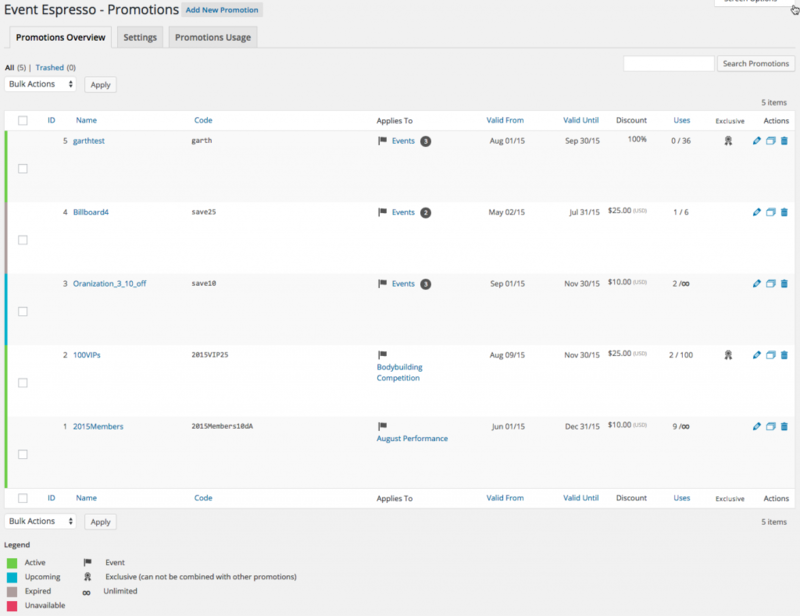 The Promotions List Table provides an overview of all your promotion codes, the events they apply to, when they are valid, the number of uses, etc. 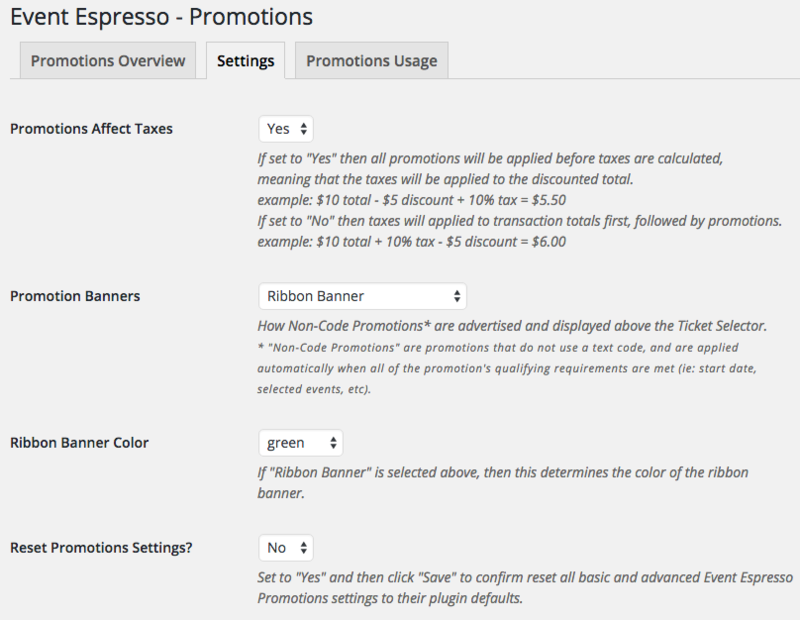 Each promotion code can be configured with a number of options (see the Promotions & Discount Codes documentation). The Promotional Discount Code settings allow you to configure if taxes will be applied be fore or after a discount is applied. The discount is detailed in the Event Espresso Transaction and Registration details too.